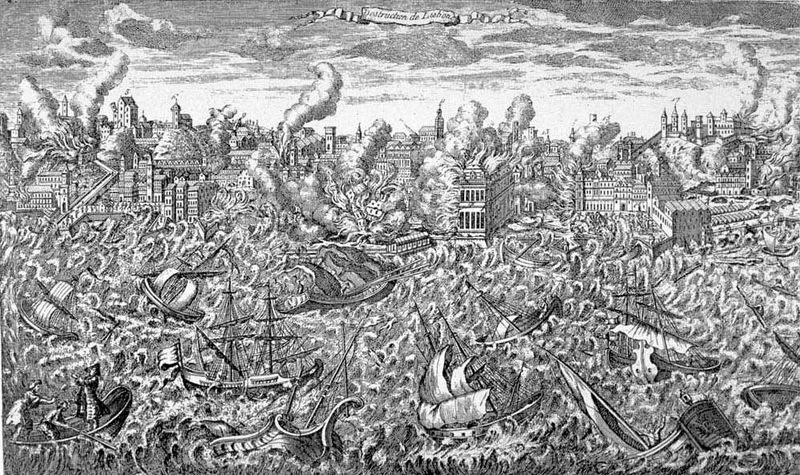 Since the reconstruction of Lisbon began shortly after the earthquake, scholars studying the city today have to rely on contemporary textual and visual sources addressing the city in order to understand how Renaissance Lisbon was organized and functioned. In this post, I will discuss an example of art history and digital tools being combined to give us insight into the past. In 2009, historian Kate Lowe and art historian Annemarie Jordan Gschwend identified two paintings at the Society of Antiquaries in London that depict the Rua Nova dos Mercadores (the New Street of Merchants), a trading center in Renaissance Lisbon where products arriving from the Portuguese explorations could be purchased. Their finding resulted in the edited volume The Global City: On the Streets of Renaissance Lisbon (2015), which includes several chapters analyzing different aspects related to the Renaissance street. Gschwend and Lowe’s collaboration culminated with the exhibition The Global City: Lisbon in the Renaissance (Museu Nacional de Arte Antiga, 2017) and accompanying catalogue, which expands on the 2015 publication. The Rua Nova, which existed since 1295, appears in foreigners’ accounts of the city as well as in a few artworks depicting Lisbon, but none of those achieved the level of detail present in the paintings identified by Lowe and Gschwend. While the exact provenance of the paintings is unknown, the two canvases originally formed one painting that was cut at some point in history. The work was created in ca. 1570-1619 by a Netherlandish artist visiting Lisbon, perhaps for a patron who was a merchant and had lived in Lisbon himself. 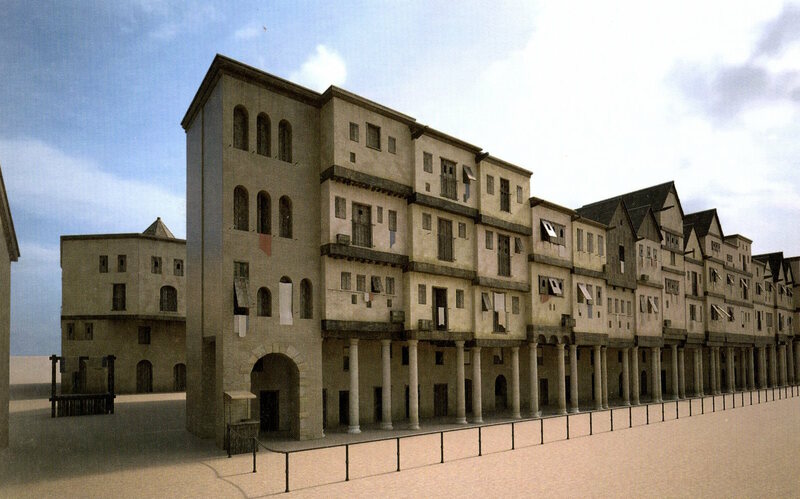 The chapter “Reconstructing the Rua Nova: The Life of a Global Street in Renaissance Lisbon” by Gschwend shows slides of a digital reconstruction of the street in order to facilitate a reader’s understanding of the architectural space of the Rua Nova. If placed side-by-side, the paintings show the Rua Nova as a continuum, and that effect can be especially enhanced in the digital reconstruction. Although this digital part of the project is not discussed in length in the chapter, it is interesting because, differently from reconstructions I have discussed before, it shows a reconstruction created from a painting—not based on the ground plan of buildings. This project thus circumvents issues with depicting architectural details of the buildings. On the other hand, the street view provided by the painting does not allow for a full understanding and reconstruction of the overall design of the buildings (for example, the painting gives us no details on other parts of the buildings on the Rua Nova besides the façade) and the interior organization of space. Ideally, one would have both in order to create most accurate reconstructions, but unfortunately, that material is not always available. The slides from the digital reconstruction presented in Gschwend’s chapter are extremely important in helping readers understand how those living in and visiting Lisbon experienced an extremely lively architectural space with shops and residences of important figures. 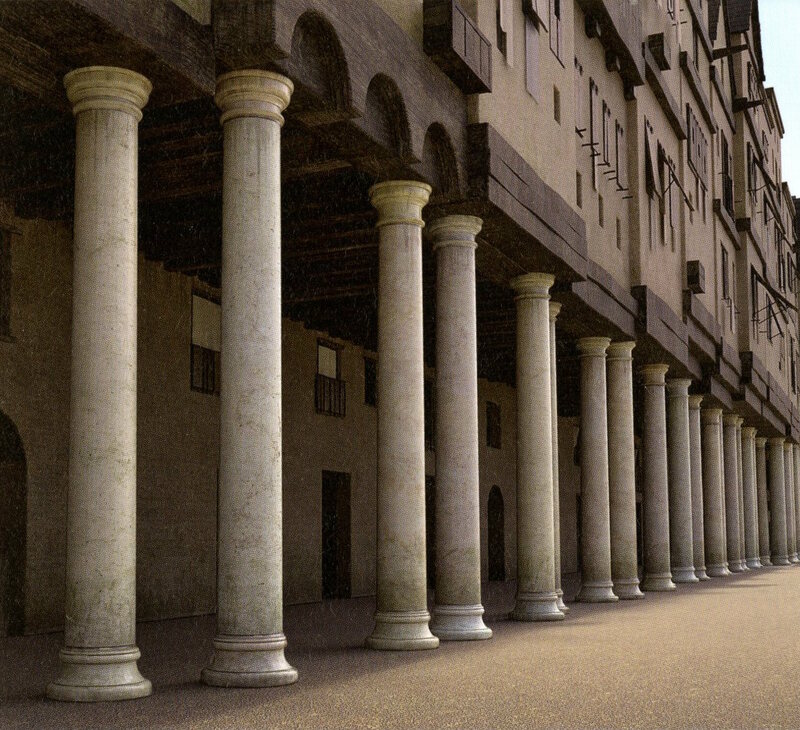 The view of the covered arcade and columns, showing storefronts on the ground floor and residences on upper stories, is a great example of the potential digital reconstructions have for showing an architectural space from different perspectives. Lowe, Kate and Annemarie Jordan Gschwend. The Global City: On the Streets of Renaissance Lisbon. London: Paul Holberton Publishing, 2015.